Calabash was incorporated in 1973. At that time, Calabash was a small fishing village with a handful of seafood restaurants. We have since grown into a small town with a year-round population of 1972 residents. The Town's Mayor and Board of Commissioners welcome you to explore our web site and discover our beautiful town, from our history, which began as early as 1691, to current events and future plans. If you are planning a trip to the Carolina Coast be sure to make plans to come to Calabash....try the local fare, go shopping, catch a fishing voyage or dolphin cruise, or come to just relax and enjoy the peaceful beauty of our charming coastal town. 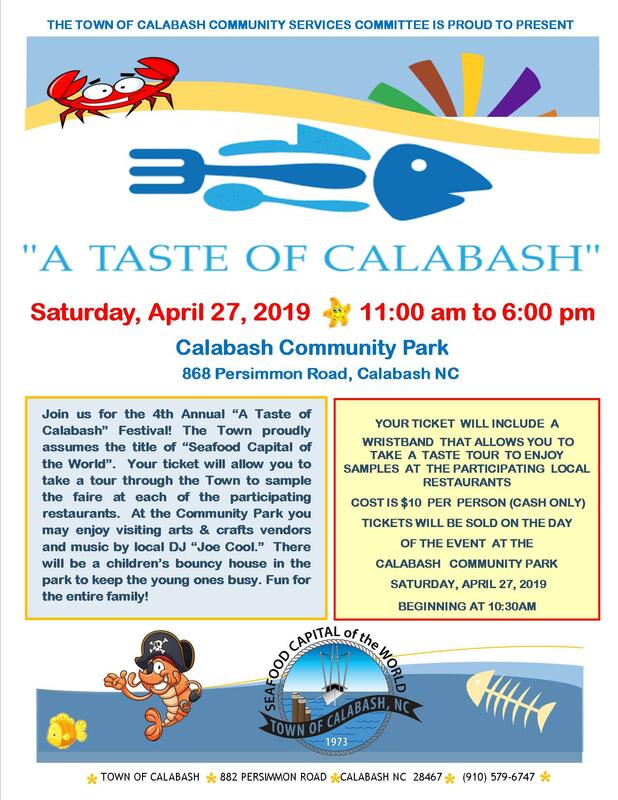 Nothing compares to Calabash!